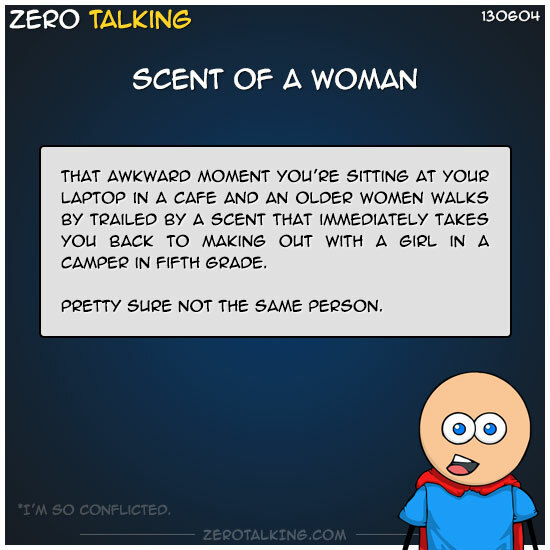 That awkward moment you’re sitting at your laptop in a cafe and an older women walks by trailed by a scent that immediately takes you back to making out with a girl in a camper in ~5th grade. *Pretty sure not the same girl. Scent is the strongest sense linked to memory.